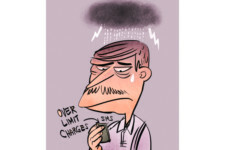 Bank charged me over limit fees twice in the past three months of Dh325. Bank contacted the customer and resolved the case. I am using First Abu Dhabi Bank (FAB) credit card. Recently I noticed in my past two statements that they charged me over limit fees twice in the past three months of Dh325. I called its customer care but they hardly care for their customers. My card was having a positive balance of Dh447.78 on February 16, 2018 and on February 22, they charged me an over limit fee, which is not correct. If they show balances in positive in the mobile app likewise in April and June, my balance was Dh900, again they charged me over limit fees. These are unjustified over limit charges for the past three months. The management of FAB responds: FAB supports the growth ambitions of its stakeholders and goes beyond financial products and services, and as such, we are grateful for all customer feedback as we strive to consistently deliver the highest standards of service. The bank has been in contact with Mr Rumani, and the matter has been resolved. Mr Rumani responds: Many thanks for the kind intervention from Gulf News; my issue has been resolved now. Thanks again for the timely response.